Godfred Viking Historical Sword | BUDK.com - Knives & Swords At The Lowest Prices! 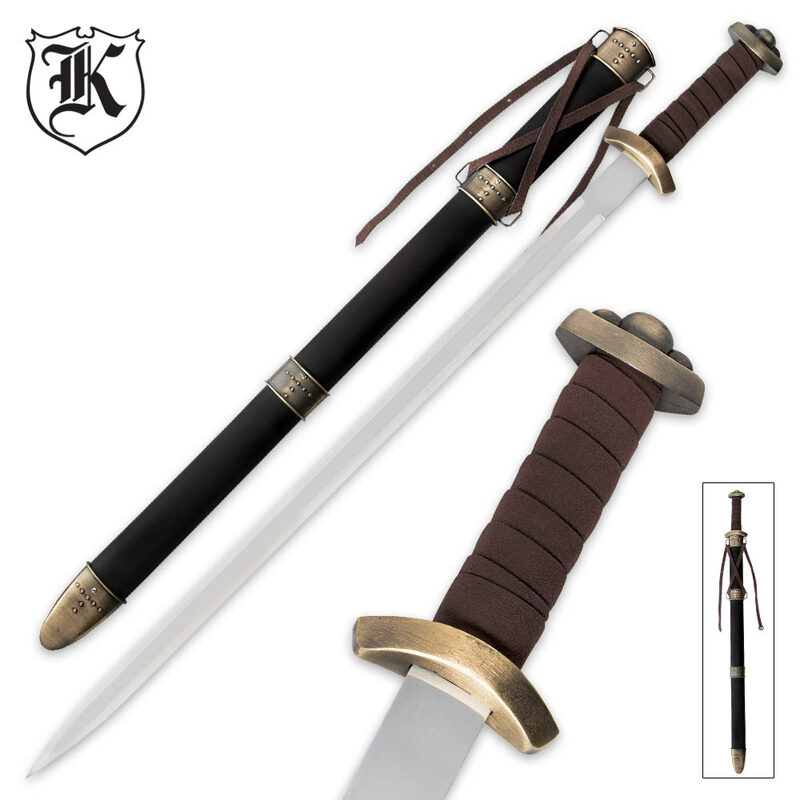 The Godfred Viking Historical Sword is modeled after the historic medieval Viking swords, It features a 27" high-polish stainless steel blade. 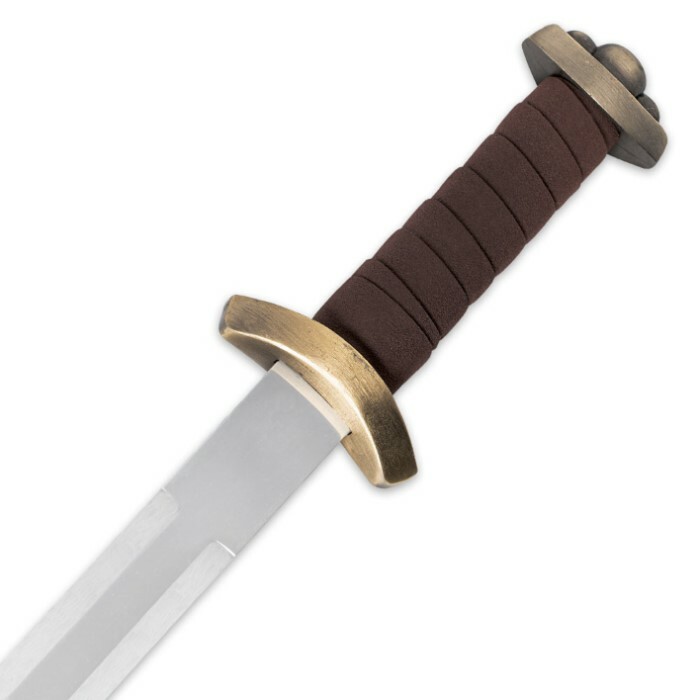 The old-world theme continues with the antique brass-finished hand guard and pommel. Brown leather wrappings on the handle are not only elegant but also provide a firm grip. The matching scabbard the sword in a dramatic style. It is embellished with matching hardware accents and coordinating leather accents. The sword itself measures 32 3/4” overall.